Apache JMeter is pure and pure Java application software so your system must have JRE(Java Runtime Environment). Required JVM version depends on which version of Jmeter you are using. JVM 6 or higher is required to run latest version of Jmeter. You can verify if java software is already installed in your machine in windows using bellow given command in your command prompt. As shown in above figure, It will show you java version and related detail if it is already installed in your system. Your next question is "how can i download java software". View THIS POST to know how to download and install Java(JDK). Click here to download latest version of Apache JMeter. Click on link "apache-jmeter-*. *.tgz" or "apache-jmeter-*. *.zip" (Here * represents the latest version number) of the binary section. It will show you popup to download and save file in your system. You can select other mirror sites from "Other mirrors" drop down if appears any error in Jmeter download. Jmeter do not require any installation. On completion of download, Extract that .zip or .tgz file in folder. Now open that folder and double click on bin folder located inside main folder. You will find "jmeter.bat" for windows platform and "jmeter.sh" for Linux systems. Double click and run that file. It will open Jmeter load testing tool's GUI as shown in bellow given image. Thats it, now you can perform load testing on it. For Windows better download Oracle's Java and for Linux you can use OpenJDK which is located in most of repositories. 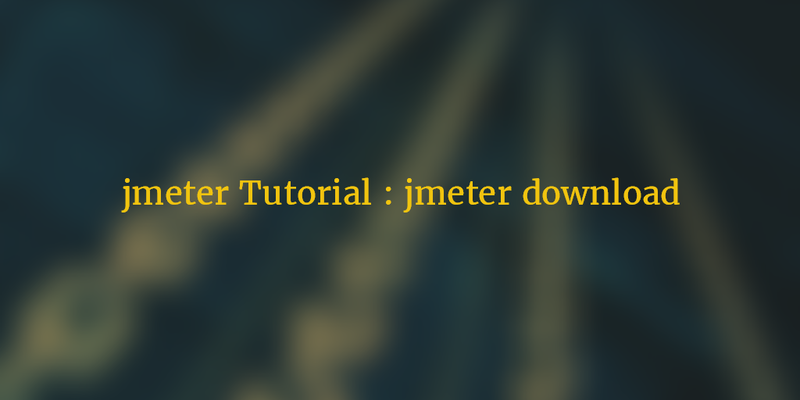 Do you know that you can use JMeter not downloading as a cloud load testing? Hello i dont have java skills. so should i start jmeter course. No need of java knowledge to learn jmeter..
Just Download the JAR file indvidually..
For more information please go to this link : "http://stackoverflow.com/questions/2619584/how-to-set-java-home-on-windows-7"